Lights; without them, once the sun sets, we would be engulfed in total darkness. 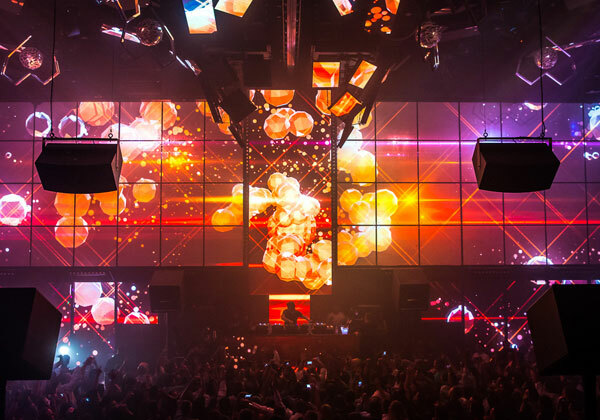 Sin City is big on lighting, having housed some of the most impressive lighting displays. One impressive collaboration is looking to take the concept of light and turn it into the next hottest night spot in Las Vegas. The Canadian theatrical troupe, Cirque Du Soleil, has joined forces with the prolific Light Group to bring to Sin City the brightest nightclub on the Strip, aptly named Light. Combining the intricacies of a Cirque du Soleil stage performance and the technical prowess of The Light Group, Mandalay Bay’s Light will push boundaries currently untested by Sin City nightclubs. Where most nightclubs have a heavy "dance club" atmosphere and the dance floor is the focal point of the entire venue, Light is going to have a heavy focus on the ambient performances gracing both the club’s floor and ceiling. Cirque du Soleil’s expertly trained performers will mesmerize guests as they showcase their acrobatic skills in near death-defying acts. Rather than utilizing a stage for their performances, these performers execute their stunts intertwined with the club’s useable space. Overhead, impressive displays of The Light Group’s technical workings highlight Cirque du Soleil’s impressive performances mid-air. At its core, Light is still a nightclub, so patrons can expect to find the same flare as any other Sin City establishment. A slew of special guests and resident DJs will spin their own mix of music to keep the energy high. From the typical house music to a mix of today’s Top 40, the music at Light will help to drive home the fact that, while the performances are a sight to behold, the dance floor is where everybody should be. The energy is always high, and the party is surely one of the biggest to be had on the Las Vegas Strip. VIP seating at Light is not cheap or easy to obtain. The unrivaled views of every aspect of the club make VIP tables the premium spot to be when visiting this extravagant establishment. 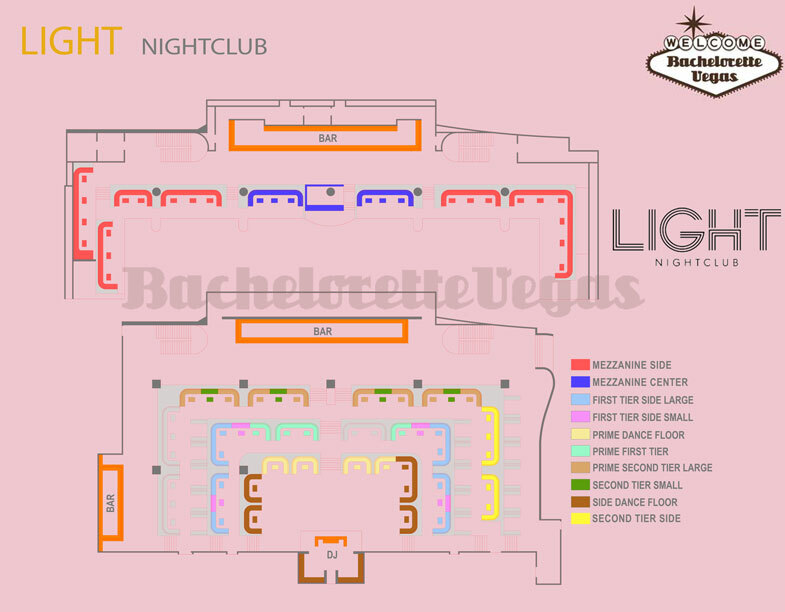 To guarantee the perfect night, Bachelorette Vegas can partner with the staff at Light to get you that VIP experience that everybody wants from their night on the town. 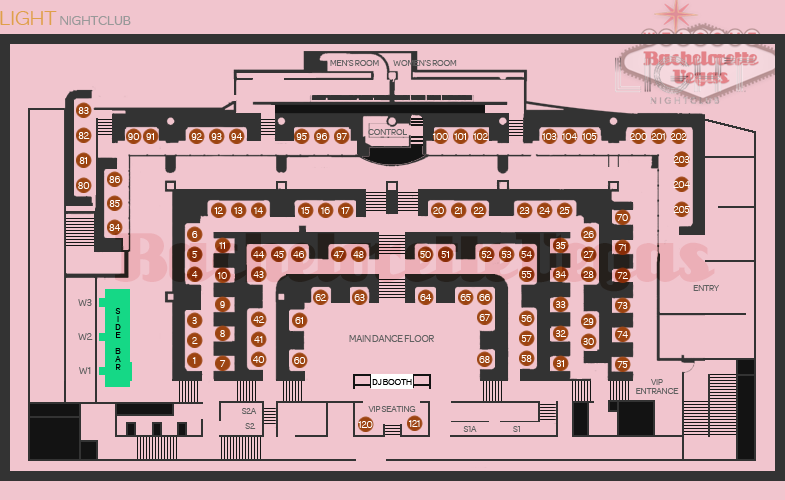 With your VIP status, you’ll be treated to premium bottle service and seating arrangements that all will be envious of. One simple call to Bachelorette Vegas can have you and your party, be it a birthday or bachelorette, living the high life. Within the four walls of this collaborative effort, there’s few means of not having a great time, but the VIP experience is the way to go. With The Light Group’s flare for style and extravagance and Cirque du Soleil’s experience wowing audiences world-wide, Mandalay Bay’s Light is going to shine in all ways possible. For reservation or VIP linepass to Light Las Vegas, please contact us..